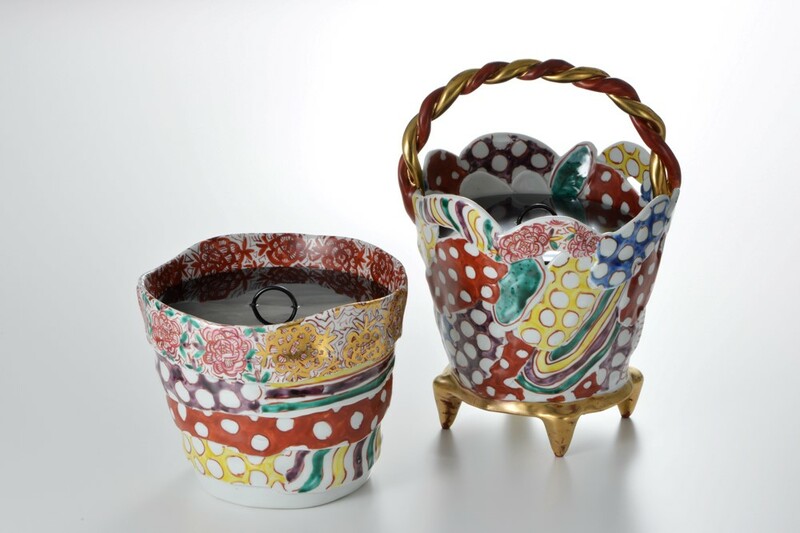 Mizusashi (water jars for the tea ceremony), porcelain by Yuriko Matsuda with lacquer ware covers. 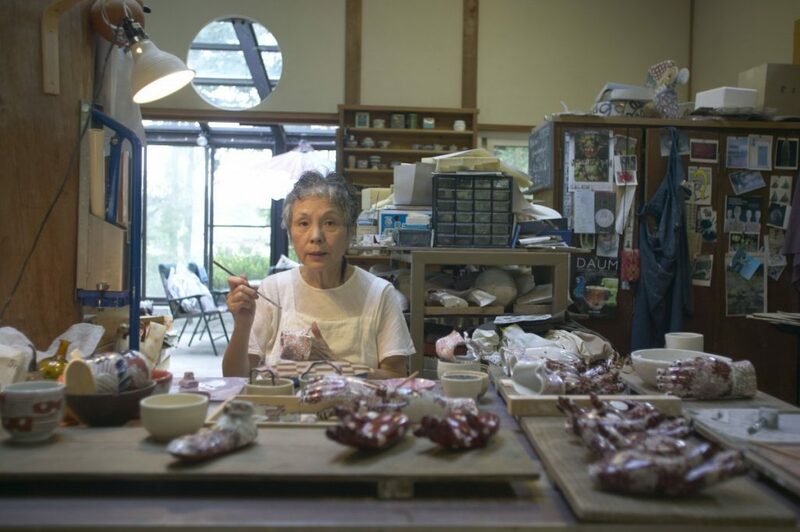 Yuriko Matsuda in her studio in Oshino, Yamanashi Prefecture. 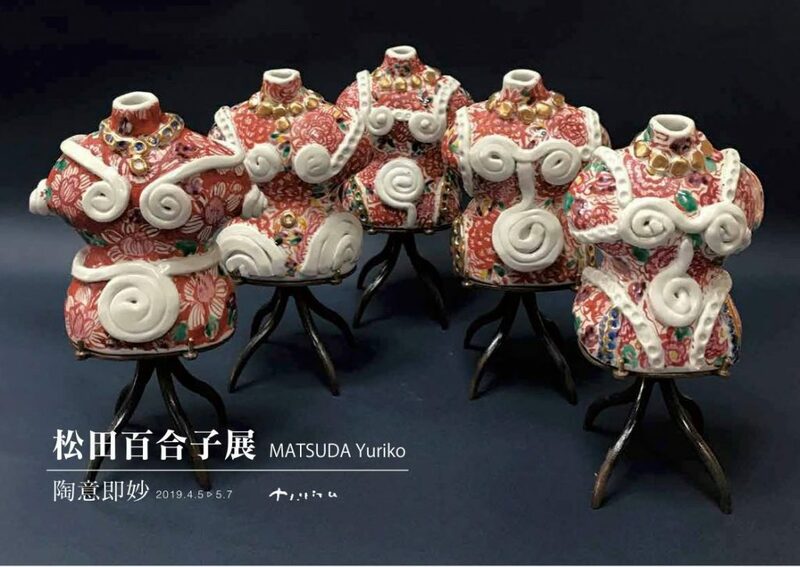 For more than half a century, Matsuda has fashioned unlikely objects out of porcelain clay, everything from bare feet and ladies’ bums to watering cans and garden vegetables. 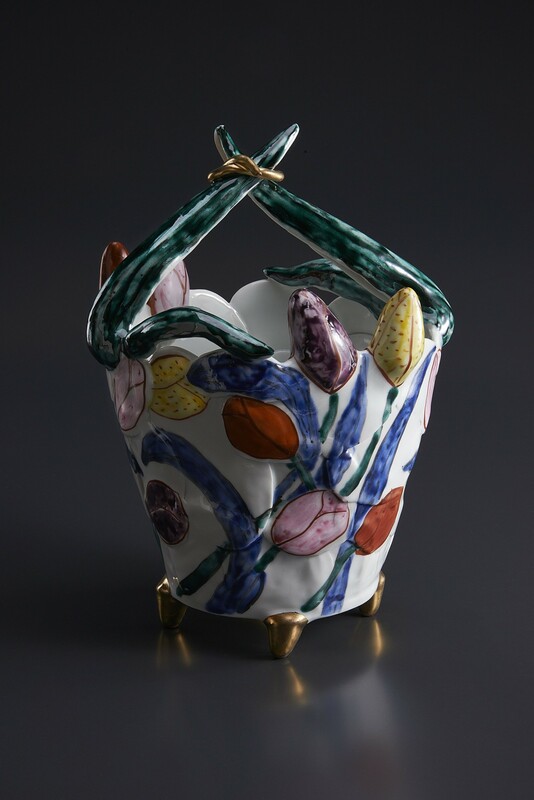 She decorates her forms lavishly, covering them with brightly colored patterns that reference traditional Chinese and Japanese porcelain. In doing so, she says, she is seeking the original meaning and intrinsic power of decoration. READ the full article on Artscape Japan. This post is the fourth installment in an occasional series on Japanese women artists, from both the present and the past, who ought to be well known but are not. Earlier posts in this series were on Edo-era painter Noguchi Shōhin, Franco-Japanese Art Deco artisan Eugénie O’Kin, and surreal collagist Toshiko Okanoue. If you would like to contribute by introducing a Japanese female artist who deserves a wider audience, please contact the manager of this blog.